With locations in Santa Monica and Huntington Beach, The Bungalow is a sprawling indoor & outdoor party house and restaurant concept that will open a location in San Diego in partnership with celebrated chef Michael Mina. From Los Angeles nightlife extraordinaire Brent Bolthouse, The Bungalow is restaurant and bar concept that first opened at the Fairmont Miramar Hotel & Bungalows in Santa Monica in August 2012. Bolthouse expanded the brand with a second location at Pacific City in Huntington Beach in 2016 with Bear Flag Fish Co. as its exclusive culinary partner. There are also plans for The Bungalow to open in Belmont Shores in Long Beach. The San Diego outpost of The Bungalow will open as part of Westfield UTC's ongoing expansion project. It will be housed in a standalone building, occupying a total of 10,000 square feet with more than 5,000 square feet of outdoor space. Like the other locations, expect multiple bars, outdoor firepits, lush gardens, sweeping decks, stylish creative meeting spaces, rustic interior designs, and a coastal vibe. 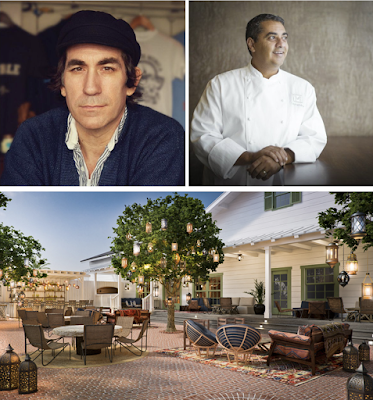 For this location, The Bungalow has partnered with San Francisco based celebrity chef Michael Mina, who is also opening an outpost of his International Smoke concept as part of the incoming One Paseo project in Del Mar. Mina will develop the restaurant's dining menu. For more information, visit thebungalow.com.